It’s not easy being President – and it’s even harder being America’s first female President, judging by the new trailer for House of Cards Season 6. 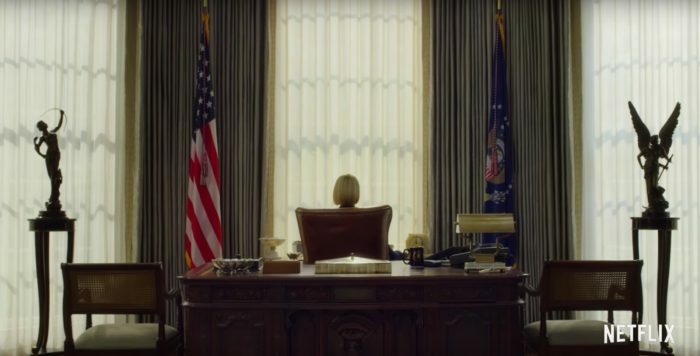 Netflix’s political drama returns for its final season this November, and it sees Robin Wright step into the Oval Office as the new President of the United States. 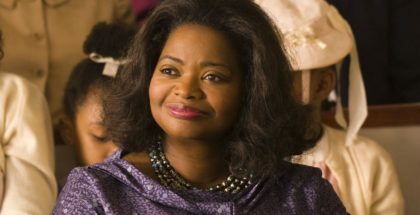 But her term as President isn’t going to be easy, as she has to move on from the loss of her husband, Frank, but also forge her own future against a wave of criticism and doubt – and, of course, all the people trying to claim what they’re owed. Wright is joined by Diane Lane and Greg Kinnear as well as Cody Fern this season, alongside Michael Kelly, Jayne Atkinson, Patricia Clarkson, Constance Zimmer, Derek Cecil, Campbell Scott and Boris McGiver. “The reign of the middle-aged white man is over,” declares Claire Underwood in the first full trailer for House of Cards Season 6. 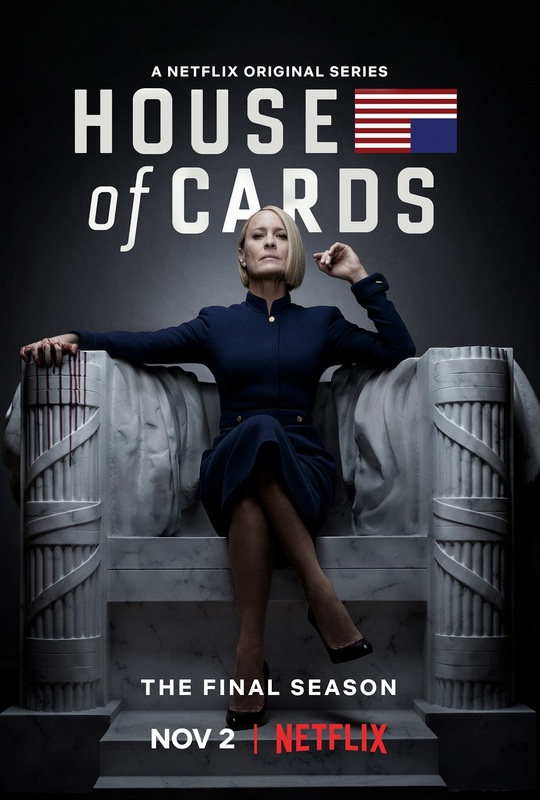 Golden Globe winner and Emmy Award nominee Robin Wright returns as the President of the United States in Netflix’s award-winning, landmark political drama, which enters its final season with a new chief in the Oval Office. Wright is joined by Diane Lane and Greg Kinnear as well as Cody Fern this season, alongside Michael Kelly, Jayne Atkinson, Patricia Clarkson, Constance Zimmer, Derek Cecil, Campbell Scott and Boris McGiver. And her term as President isn’t going to be easy, judging by this glimpse of what’s in store for the POTUS, as she moves on from the loss of her husband, Frank, and forges her own future – but not without people trying to claim what they’re owed first. Melissa James Gibson and Frank Pugliese continue as showrunners for Season 6 of House of Cards, serving as executive producers along with Wright, David Fincher, Joshua Donen, Dana Brunetti, Eric Roth, Michael Dobbs and Andrew Davies. The first trailer for House of Cards Season 6 has landed, and it gives us our first hint at the fate of Frank Underwood. The landmark political series, which first debuted in 2013, charted the rise of Frank and his wife, Claire, in the cutthroat world of Washington. Now, with Kevin Spacey removed from production, the show is finally returning for its sixth and final run, with Golden Globe winner and Emmy Award nominee Robin Wright stepping into the spotlight as President of the United States. Wright is joined in Season 6 by Diane Lane, Greg Kinnear, Michael Kelly, Jayne Atkinson, Patricia Clarkson, Constance Zimmer, Derek Cecil, Campbell Scott and Boris McGiver, with Cody Fern also a new addition to the ensemble. The first teaser for Season 6, though, puts Wright centre stage, as she addresses what’s coming and what’s being left behind. All episodes will land on Netflix on Friday 2nd November, just in time for the US midterm elections, which will be held the following Tuesday. House of Card Season 6 will premiere this November, Netflix has announced. 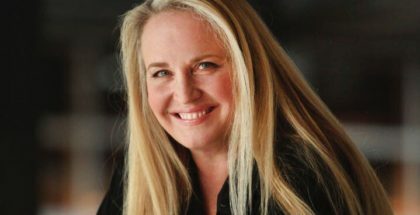 The landmark political series, which first debuted in 2013, charted the rise of the Underwoods in the cutthroat world of Washington and became the first online series to receive major nominations from the Primetime Emmy Awards. Now, with Kevin Spacey’s Frank Underwood removed from production, the show is finally returning for its sixth and final run, as Golden Globe winner and Emmy Award nominee Robin Wright returns as President of the United States. All episodes will lando on Netflix on Friday 2nd November, just in time for the US midterm elections, which will be held the following Tuesday. Netflix announced the air date with a striking new poster, which sees Claire replace Frank Underwood on the same poster that was used for Season 1. Read on below for new images and a trailer hailing the new Command in Chief. The President of the United States celebrated Independence Day yesterday – and, for Netflix’s House of Cards, that meant a celebration of the new President’s independence from her husband. A new teaser, released on 4th July, once again emphasised the changing of the guard in the fictional white house, as Claire Underwood (Robin Wright) takes over from Frank Underwood in the Oval Office. Claire’s rise to power happens at a natural time for the series’ narrative, but was instigated by the streaming service and the show’s producers, after allegations against Kevin Spacey for sexual harassment saw him ousted from the show with no involvement in any future episodes. Wright be joined in House of Cards’ sixth season by Diane Lane, Greg Kinnear, Michael Kelly, Jayne Atkinson, Patricia Clarkson, Constance Zimmer, Derek Cecil, Campbell Scott and Boris McGiver, with Cody Fern also a new addition to the ensemble. 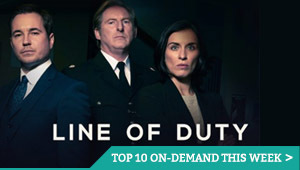 The final episodes will premiere this autumn and will mark the last season of the drama. Here’s the new teaser – or read on below for images of Wright on the set of the show. We’re just getting started, promises the first trailer for House of Cards’ sixth season, and those four words are a clear message to the world that Netflix’s political drama is putting the past behind it and moving on into new waters. Those new waters are, of course, presided over by Robin Wright’s Claire Underwood, who has taken over the reins of the show, following the rapid ousting of Kevin Spacey. The actor, who played Frank Underwood for the previous five seasons, faced allegations of sexual harassment and abuse last year, leading production to halt on the series. Following an investigation, producers MRC and Netflix agreed they would only continue the show if Spacey was not involved in anyway. Season 6, then confirmed as the show’s final season, will see Wright’s Claire led a cast that includes Diane Lane, Greg Kinnear, Michael Kelly, Jayne Atkinson, Patricia Clarkson, Constance Zimmer, Derek Cecil, Campbell Scott and Boris McGiver, with Cody Fern recently joining the pack.